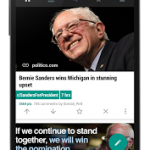 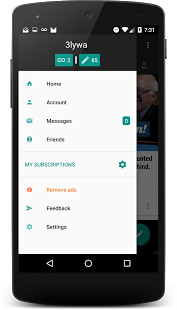 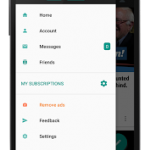 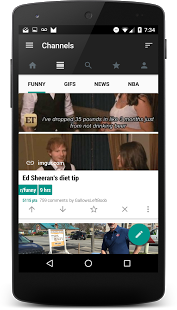 Share, save, and post your own content with a slick material design interface, customizable to your preference. 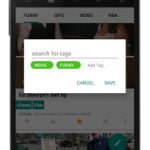 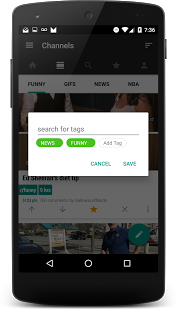 Keep track of your favourite posts using Go Tags, and manage your throwaways in as easy as a swipe. 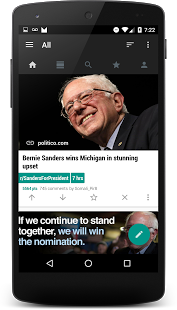 Give gold (or silver) to your favourite commenters, and participate in the social news sites that entertains millions of people daily. 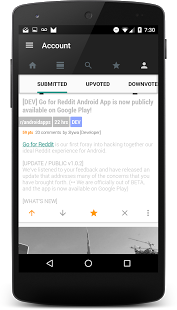 New and fresh experimental features coming all the time! 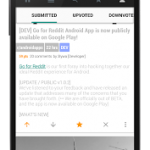 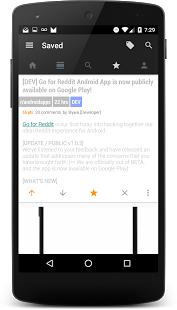 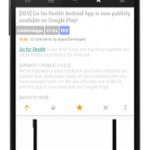 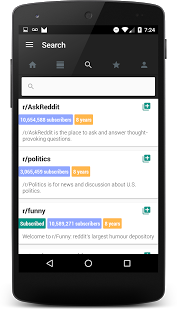 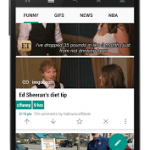 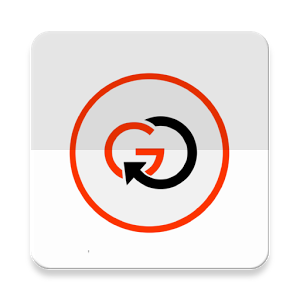 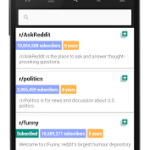 -Search and copy multireddits easily.